e: 18pt;">Indian goosebery fruit may support overall health. Antioxidant activity. Amla contains potent antioxidant compounds. Improved cardiovascular health. Amla has been shown to reduce elevated blood sugar, pressure, and cholesterol levels. Supplying nutrients. Amla is a good source of vitamin C, iron, and other nutrients. 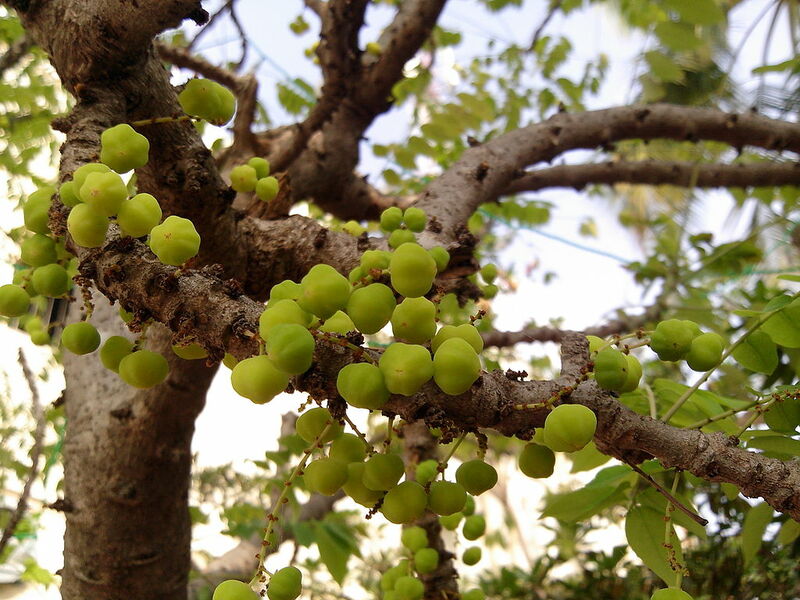 Emblica officinalis, also known as Phyllanthus emblica, Indian gooseberry, or by its Hindu name amla, is a tropical tree prized for its nutritional and medicinal value. Amla’s yellowish-green berries are commonly eaten raw or used to prepare various sweet foods. The fruit is a rich source of vitamin C and minerals such as iron and phosphorus, as well as numerous bio-active compounds such as the polyphenols gallic and ellagic acid, and the flavonoids rutin and quercetin. Outside of its dietary use, amla is utilized by traditional Ayurvedic medicine to help with diabetes, osteoporosis, inflammatory, neurological, and cardiovascular conditions, promote longevity, improve digestion, and much more. Amla oil and powder is also used topically to enhance hair and skin health. Like many other tropical herbs advertised as a nutrient-dense superfood, amla is quickly growing in popularity as a green food supplement purported to support overall health. 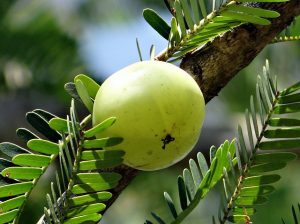 In India, amla is believed to be the first tree grown in the universe. Amla is sold as a green powder supplement purported to have many benefits, including increased energy levels, improved digestion, and rejuvenation of overall health. Some people also use it for arthritis, diabetes, regulating cholesterol levels, and various other conditions. In addition, amla is also applied topically as a skin care product used to protect and heal the skin, and as a hair care product. Although amla’s generic health claims have not been tested by research, there is a much evidence for its specific effects such as antioxidant & anti-inflammatory activity, reduction of blood sugar and cholesterol, protection of skin against sun damage, and neuroprotection. However, most of this evidence is currently restricted to cell culture and animal studies. Out of the 8 main branches of Ayurveda, amla (also known as amalaki) is most widely utilized in “rasayana”, which translates into rejuvenation in English. p>Clinical trials suggest that amla can improve blood lipid (fat) and glucose levels, decrease blood pressure, and improve other measures of cardiovascular health. In this study, healthy and diabetic adults were given amla fruit powder (1,2, or 3 g) daily for 21 days to test its effects on blood sugar and lipids. Both groups saw a decrease in fasting and post-meal blood sugar levels, in addition to reduced levels of cholesterol, triglycerides, LDL (“bad”) cholesterol, and increased levels of HDL (“good”) cholesterol. Eighty type 2 diabetics were given placebo, atorvastatin, or amla extract daily (500 or 1000 mg) for 12 weeks in randomized, double-blind, placebo-controlled study. Both amla groups improved in endothelial function – a measure of cardiovascular health – and had lowered levels of oxidative stress and inflammation. The goal of this study was to examine the benefits of amla in people with hyperlipidemia (high cholesterol). Sixty type II hyperlipidemics were given amla extract (500 mg) or simvastatin (20 mg) daily for 42 days. Amla supplementation was found to improve blood lipid levels and decrease blood pressure. This study examined the effects of amla on cardiovascular disease risk factors (CVD). For 12 weeks, 15 overweight or obese adults were given 500 mg (twice daily) of CAPROS, a supplement derived from amla fruit. The supplementation improved three measures of CVD: blood lipid levels, Circulatory high-sensitivity C reactive protein (hs-CRP) levels, and platelet aggregation. Amla is popularly mixed with papaya – another nutritious fruit – either as a smoothie or a face mask. Amla fruit powder – the most popular supplement form. Amla extract sold in capsules. Amla oil, typically used for hair products. Capros®, a branded amla extract standardized to contain a minimum of 60% tannins. Amla powder 1 – 5 g.
Amla may help support overall health. Similar to other so-called superfood herbs such as moringa and spirulina, amla contains nutrients and phytochemicals capable of benefiting your health. So far, however, only its anti-diabetic and cardiovascular benefits have been confirmed in humans. 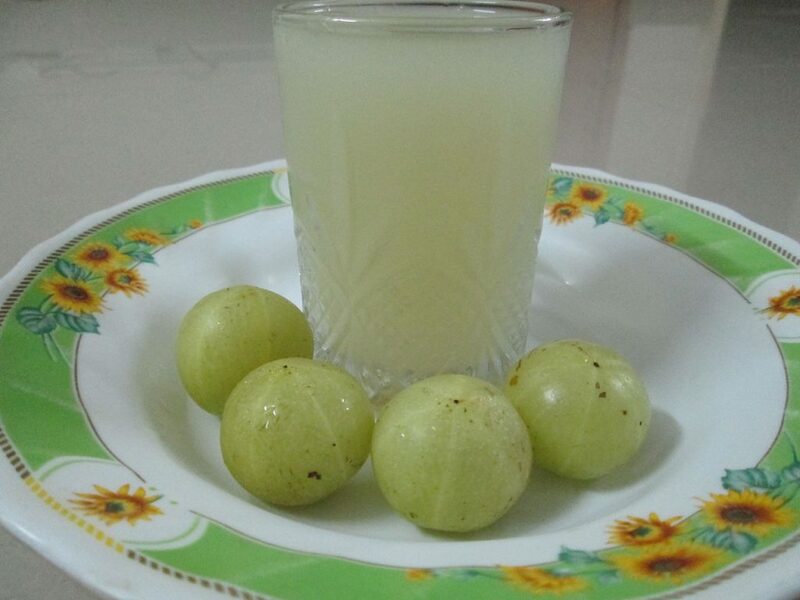 Amla powder at doses of 1 – 5 g seems ideal. Like most greens, amla seems best taken in its powder form, typically mixed together with a drink or yogurt. In addition, it can also be applied topically on the skin and hair.